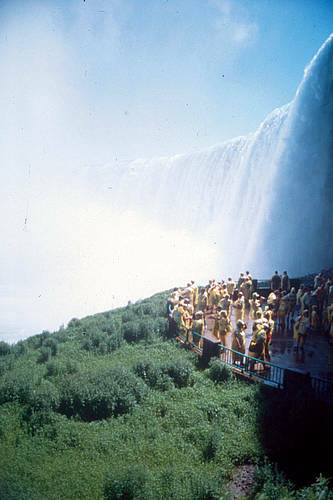 Referenced as “the ultimate Niagara Falls experience” – DoubleTree Fallsview and Niagara Parks offering a two night package with great attractions this summer. The inaugural Car-Free Day on the Niagara Parkway wasn’t free of suggestions from both tourists and locals who want to see the event evolve from its humble beginnings Sunday. “This is awesome,” said Mike Sherman, a cyclist from Montreal who was riding down the empty Parkway toward the Horseshoe Falls with fellow Montrealer Jen Zwarych. For the first time ever, the Niagara Parks Commission on Sunday shut down the Niagara Parkway to vehicle traffic, except the NPC’s people-mover buses. Niagara Falls should put the brakes on the purchase of buses for shuttling tourists around town and reconsider an electric trolley system before plans for the new people mover system leave the station, says former city employee Derek Costello. But council members say their current people mover plan is affordable, will serve a wider area and is what the tourism industry wants now. Electric trolleys are better for the environment than buses that burn fossil fuels. Their long-term maintenance costs are lower than buses with tires and moving parts have to be replaced more frequently than steel wheels or electric motors, Costello said.